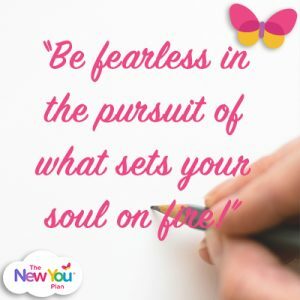 New You Plan Founder Julie-Ann uses her own personal experience to share her tips for success to help you smash your New You Plan weight loss goals. I this. In my life I can honestly say that I had to take sooooo many shots to achieve the best things in my life. I think I stopped smoking 100 times. I used to joke that I was brilliant at stopping smoking as I have done it so many times, lol. 🚬 I haven’t smoked for 9 years now. One time I stopped and soon realised that “just one” was never worth it. 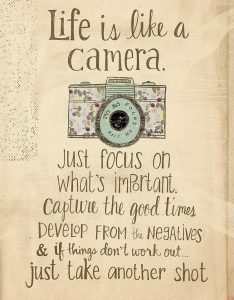 I remind myself of how many times I tried to achieve these things when I feel like giving up on my current goals. It doesn’t matter how many times you try to lose weight and maintain. What matters most is that you never stop giving it another shot. Always try to apply lessons from the past to your next shot. I’m still mastering weight loss and maintenance. I’m still mastering being a better person. I’m still mastering happiness and inner peace. I’m still mastering being a wife and mum. I will keep giving everything another shot. I will keep aiming to get better. Even when I take 2 steps back. 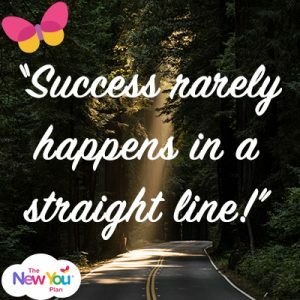 Success rarely happens in a straight line.